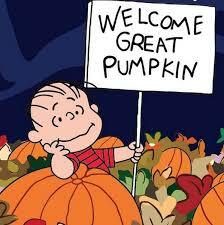 I believe that most of us parents have watched Charlie Brown’s The Great Pumpkin at last 2 or 3 times over the course of the years. That probably holds true for our children too – teens & tweens. It’s a Halloween classic – a staple for all families. Well did you ever think that this wonderful story could produce a number of great conversations to have around the dinner table? Well, it can. Click here to learn and please engage in some of these conversations with your kids.